Well, folks! 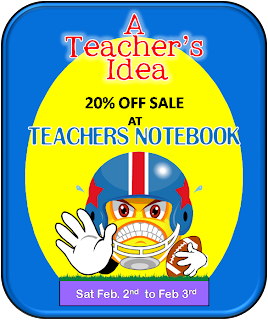 This is yet another one of those great sale weekends.Teachers pay Teachers and Teachers Notebook are hosting super sales this weekend and of course they are asking us sellers to join them. So, I am having a 20% sale at both my stores. 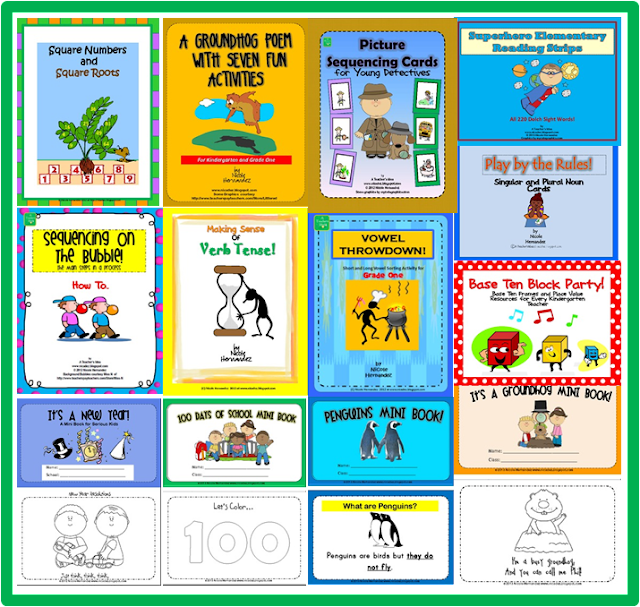 Both stores carry the same resources, except for my clipart which is exclusively found at TPT. But, before I get you there let me show you a mosaic of my most popular products in both shops. Ok! Now that you are informed let me direct you to both my stores. 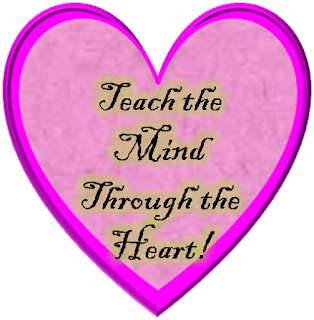 To shop at my TPT store and to take advantage of my great discount offer just fill your cart to the brim (lol). Hold it there till Sunday. Then on the sale day use the promo code "SUPER" at checkout for an additional 10% off, which for you spells a total of 28% off at my TPT store. 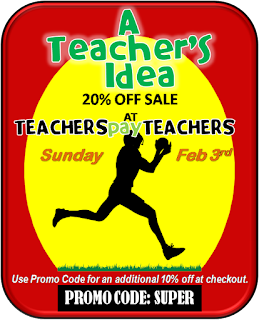 Remember, THIS SALE AT TPT IS ON SUNDAY ONLY! But, if you are a TN shopper, then my store is all topped up there too! There are no special instructions to get to those savings, just shop! shop! and shop! Also, THIS TN SALE IS FROM SATURDAY TO SUNDAY! Click on the images to go directly to either of my online stores. I am really excited about sharing these posters today. They are part of a collection that I am going to make available for sale. 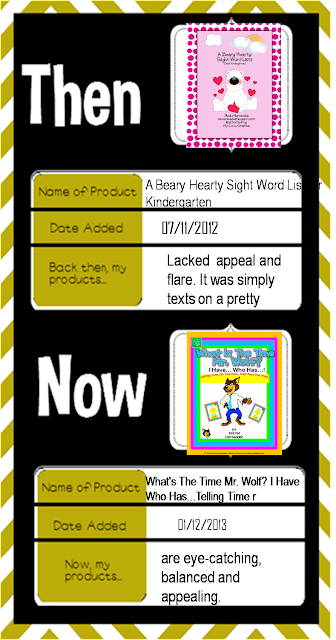 I wanted to give you guys a view of the quality of products that I have at my store and hope that you rate it and follow me at TPT to get more of these great ideas! Enjoy 'em! 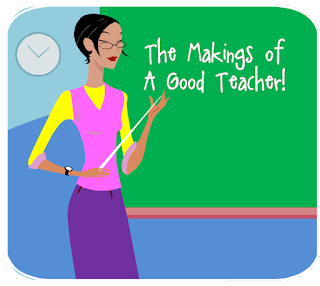 So much could be said about what makes a good teacher that it is almost difficult to find endearing qualities in one person. Some believe that a good personality is the most important factor and others believe that qualifications are major. 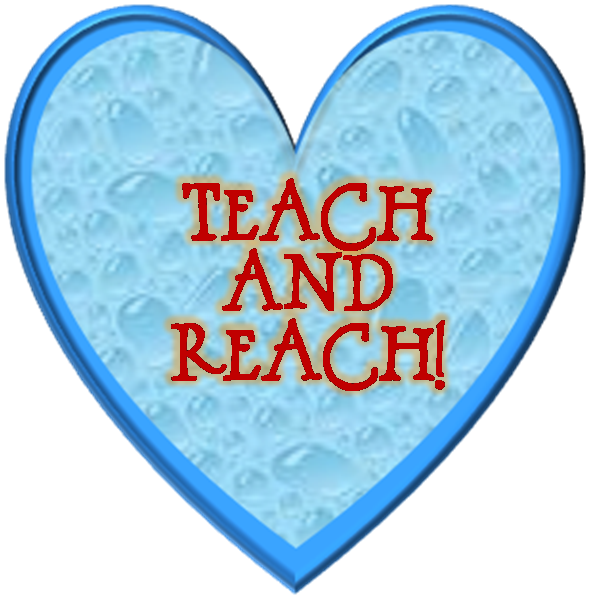 Well, I really don't think that there should be a definite line of separation for both of them in teaching. 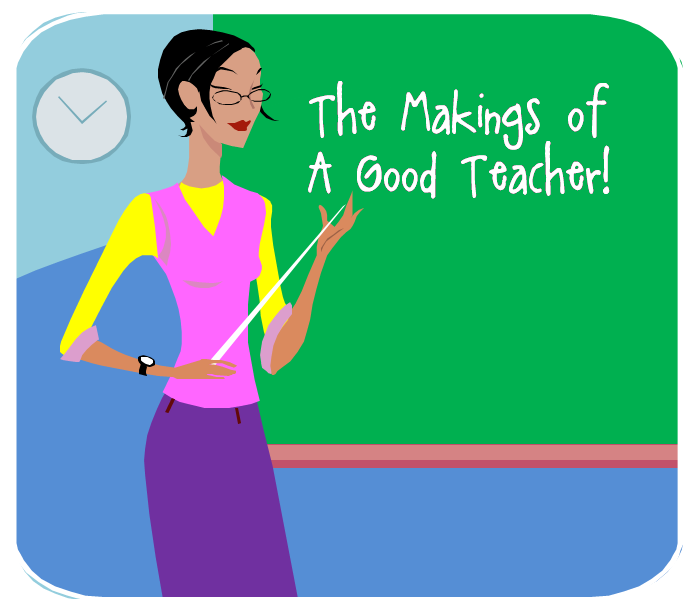 For this reason I think that teaching should only attract THE BEST candidates as teachers. 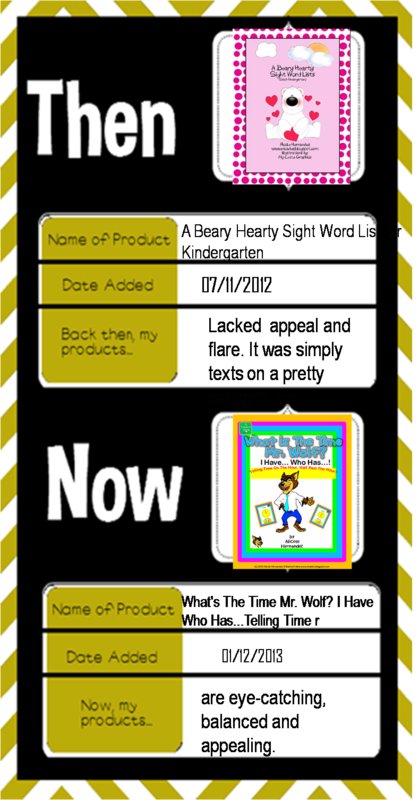 I'm joining Mrs Mc's Then & Now Linky Party over at Buzz Three Times in a feat of pure nostalgia! It's all about going down memory lane to one of your earliest products, then highlight the transformations that you've taken. Well, I must say that I am indeed happy for this opportunity for self-evaluation. I sure do have one for you! In looking back at my earlier products I am not too happy with lots of things. I really did not make an effort in terms of adding details and manipulating color as much as I do now. In the past I would simply 'place' words on ready-made backgrounds without any creative input. As you can see, there is a stark difference through time. I think I need to take some graphic design classes to probably boost my efforts even more. What do you think? 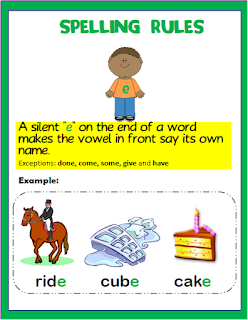 Today I have another compound word resource that will bring more fun and enjoyment to learning. 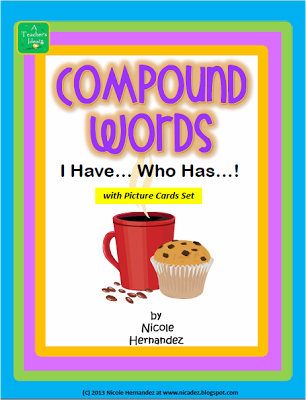 It is my Compound Words I Have Who Has game that also includes a compound word picture cards set. The labels for the pictures are colored by whole word. The resource contains 44 game cards along with 44 picture cards. This resource is more suitable for kids from Grade 1 to Grade 3. I hope that you enjoy using this as much as I enjoyed creating it. 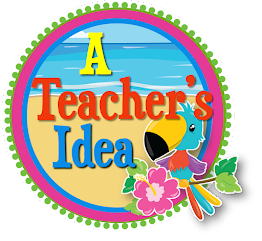 Click the picture below to go directly to my TPT store or click HERE to visit my Teachers Notebook store. My friend and fellow blogger Nyla, over at Nyla's Crafty Teaching has done a fantastic post on getting free Kindle books just for you. She has a few great ideas and suggestions that I think you should read about and try to get a hold of. 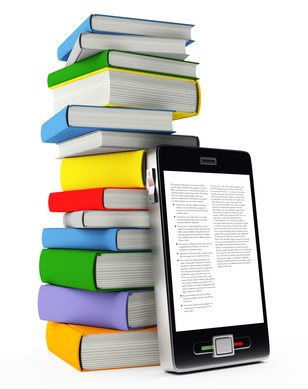 So scoot on over to Nyla's and check out what free titles that are available to you. CLICK the picture below to grab a title of your choice. It's a new year and it's time for a new kinda linky party! Why not meet bloggers from all around the world? Well, this is the brainchild of Michelle Lundy over at Making It As A Middle Teacher. She has invited bloggers like myself to connect with her for this unique experience. Wonder where I'm from? Well guess no more. I am from the beautiful Caribbean twin islands of Trinidad and Tobago. It's the home of the steel pan, the limbo, Carnival, and Miss Universe 1998 Ms Wendy Fitzwilliam, to name a few. So come join the link party and let's continue on this inspiring journey. Click HERE or the picture below. Well I sure am curious to find out if there are any bloggers from my country and the Caribbean region. That would be awesome! Hi! 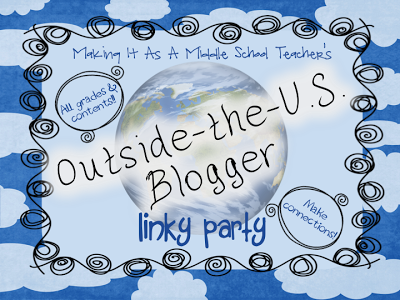 I'm linkin up with fellow blogger Denise over at Sunny Days in Second Grade for a spankin' new linking party. This linky party is about everything New Year. If it's a post or a product based on this theme you are sure welcome to link up. 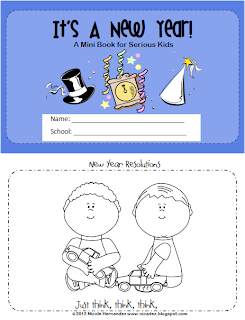 I'm linking my 'It's A New Year Mini Book'. 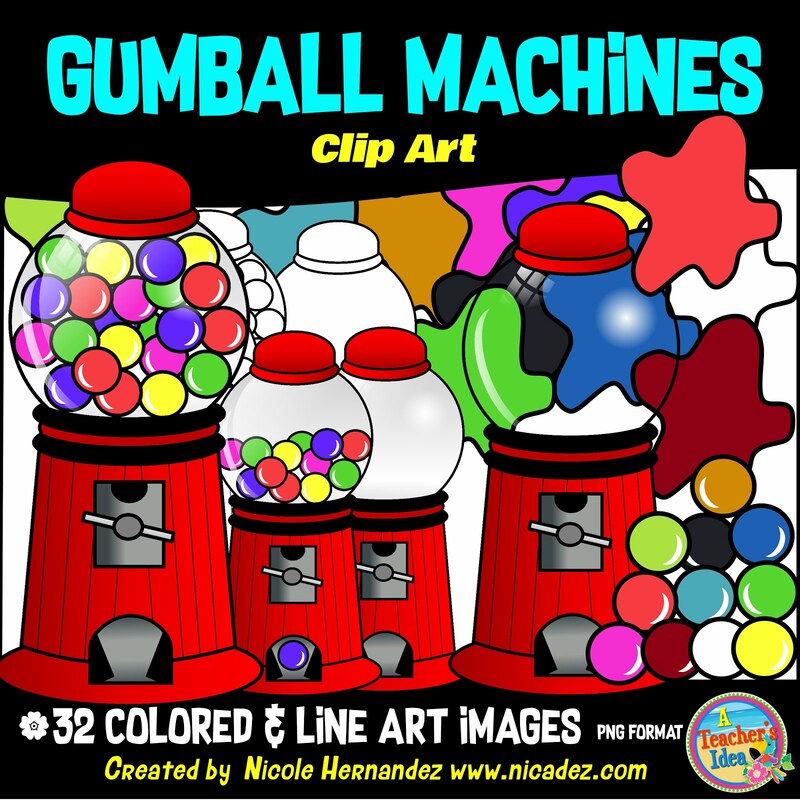 It's great for the little ones who love to read and color. 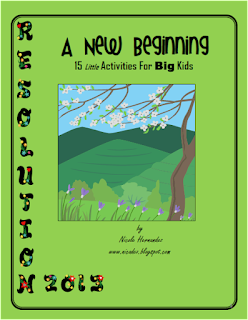 I' am also showing my 'A New Beginning' activities book for the older kids. 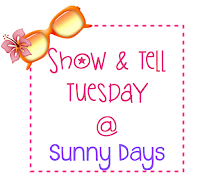 So hop on over to Sunny Days in Second Grade and let's see what else is 'New'!